The biggest artery in the body. The biggest artery in the body. Starting at the heart's left ventricle, it runs down into the abdomen, where it eventually splits into two smaller arteries. As well as carrying blood away from the heart, the aorta has a role in monitoring blood pressure and correcting blood chemistry. Starting at the heart's left ventricle, it runs down into the abdomen, where it eventually splits into two smaller arteries. 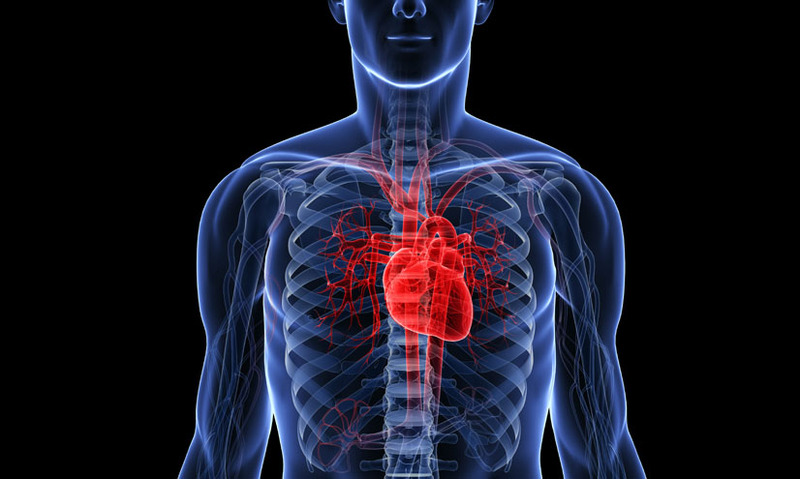 As well as carrying blood away from the heart, the aorta has a role in monitoring blood pressure and correcting blood chemistry.